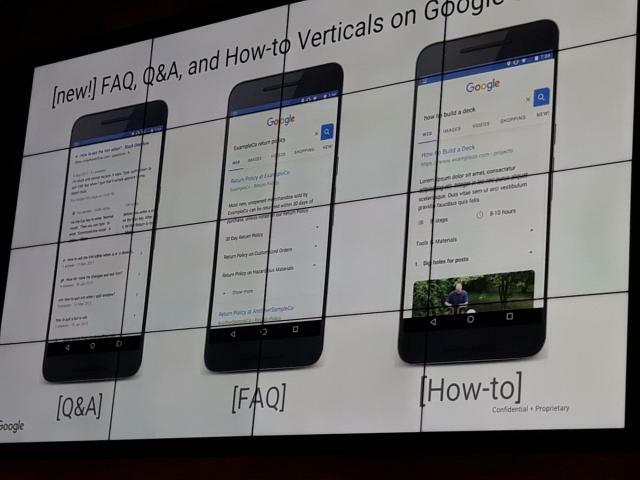 Last night, I confirmed with Google on Search Engine Land that the FAQs, Q&A and How-To snippets posted on Twitter from Akhil Agarwal while at the Google Dance Singapore event was indeed coming to a search result snippet near you. Google confirmed this is being tested and falls within the bucket of the best answer carousel we've been seeing for some time. Now, I love how Aaron Bradley on Google+ marked up (see what I did there?) the photo with the appropriate schema that powers it. He said when he posted it that these "will probably be fueled by structured data" and he was right. Google should be opening an interest form for publishers interesting in joining this beta in the upcoming weeks - so stay tuned for that link. In the mean time, you can go ahead and markup relevant content with that schema, if you'd like to get a head start.